Welcome to Kirigin Cellars, the home of our famous coffee- and chocolate-infused Vino de Mocca, and a host of other wonderful wines made from grapes grown on the property. We offer you the opportunity to try handcrafted wines from 11 different wine grapes cultivated in our 33 acres of vineyards. Our winery is steeped in tradition, from our historic buildings to our use of the techniques and wisdom that Nikola Kirigin brought from his family’s ancient wine-making processes in Croatia. We have a range of facilities onsite that can suit your needs for any type of event: Wedding, birthday party, bridal shower, corporate event and many more. Lodged in a pastoral valley surrounded by hills, trees, and range land, our winery is blessed with extraordinary natural beauty and serenity which we work hard to preserve and enhance. We plan to continue to build on our hard-earned reputation for providing award-winning wines, event facilities, and services with an unmatched combination of superior quality and prices. Our award-winning reds range from light and elegant to robust and hearty. 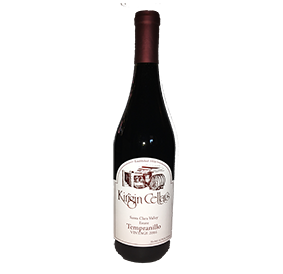 They include Pinot Noir, Tempranillo, Merlot, Syrah, Cabernet Sauvignon, Malbec, Zinfandel, and Petite Sirah. 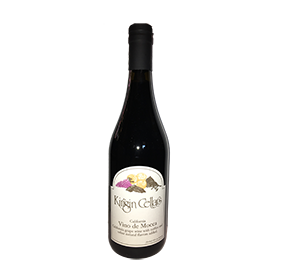 We also offer one or more red wine blends. Our award-winning whites range from crisp and dry to aromatic and semi-sweet. They include Pinot Grigio, Sauvignon Blanc, Malvasia Bianca, and Chardonnay. We also have two Champagnes as well. Our Rose is a perfect rose for a hot summer day. Kirigin Cellars is known for its coffee- and chocolate-infused Vino de Mocca. This wine was made by Mr. Kirigin for his wife. We also sell chocolates infused with this dessert wine. we could not have had a more perfect wedding. We looked for venues all across the Bay Area for months. Everything was so expensive and I found my dream of being married in a winery slowly fading. 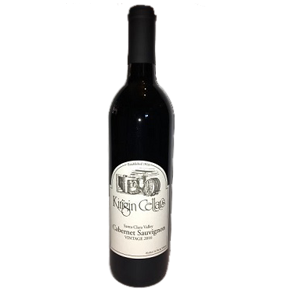 We happened to stumble on Kirigin when checking out winery venues in the Gilroy area. We came in and the tasting staff was so helpful, they even gave us a tour without an appointment. I was blown away by the gorgeous venue, the clubhouse is to die for. Everything was so pretty and I just knew it was going to be out of budget. Kirigin is a little hidden gem and when you walk into it and out to the vineyard grass area it is so amazing. Many people do not know about it yet but I am sure in a few years they will be the most popular wedding venue in the area. I was blown away when the owner called me and went over the cost and fees. It was the most affordable winery we had been to and they offered more than any other one we went to. My mother and I went to meet with Dhruv the owner and I signed the contract that day. Dhruv even had a nice afternoon of cake and wine with us making it a special memory. Everything leading up to our wedding was great, Kirigin wedding coordinator Perri was awesome to work with and so accommodating. We were not told "NO" once, and they went above and beyond leading up to and the day of my wedding. My guests were raving about the view, atmosphere, service, and how smooth the wedding went. Perri and Kirigin was a huge part of that. From the second the guests walked in they had five start service complete with an amazing venue and delicious wine. We had a beautiful ceremony inside the vineyard and it was just perfect! I feel very lucky that I was able to have my wedding at Kirigin and would highly recommend it to other couples. My husband and I paid for everything ourselves so it was very difficult. Kirigin Cellars gave me more than I could ask for and made my winery dream wedding come true. have stumbled across Kirigin Cellars by complete accident. We had a blast touring the venue and seeing all it had to offer. The clubhouse was beautiful. Loved the wine colored floors and tall ceilings. They had a bridal room and a groom's room, though both were a tad on a smaller side. The scenery was beautiful. This place was very flexible and chill. You could basically have your ceremony at any location. We originally wanted it INSIDE the vineyards (which is allowed), but our guest count didn't make that feasible so we chose another location which was equally beautiful. The location provided an on-site coordinator, Perri, who assisted with coordinating everything leading up the event and day of. She responded to my numerous emails with questions and scheduled a sit down with me, my now husband, and some vendors when we wanted to return for another on-site visit. They provided, wine, beer and soda into your fees. No caterers are provided so you have the flexibility to choose any catering/food you want and are not restricted to their food. Guests had their own private parking lot and upon entrance they were greeted with a glass of champagne and a golf cart ride to the site (or walk as it wasn't a long walk). Staff were prompt and courteous. My guests raved on how nice the venue was. And they also loved the wine. A huge consensus hit was the Vino de Mocca. We had a great time with our reception. I loved the flexibility allowed here and the prices were reasonable. We stayed within budget. (Huzzah!) Events have to end by 10PM. Bummer for most but it worked naturally for ours. We had about 160 guests seated through 17 tables. It was a pretty full reception hall. It left JUST ENOUGH room for a smaller dance floor area. This is with us having buffet style dining, and we had the food stationed outside. All in all, it was a great decision to have our wedding here. In a secluded romantic area. Kirigin was the first and only venue I visited. The moment I arrived, I knew I wanted to get married there. On the day of my wedding, everything ran so smooth. I was super hesitant since there was a wedding the friday night before, but you couldn't even tell. It is always immaculate, the staff made me feel comfortable, and Perri was super helpful with all of my needs. I had three compliments from the guests at my wedding, 1. They said the venue was absolutely beautiful #hiddengem 2. Everything just flowed perfectly. 3. The wine. On top of everything, my wedding was on a 90' day, and you couldn't even tell when you were inside the Reception Hall. Also, there is so many places on the property to take beautiful photos, you don't even have to leave the venue for photos. Highly Recommend! I will forever love this place. in September, and happily recommend it! 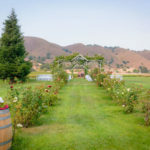 In particular, many of the pro's include: - Gorgeous venue with multiple options for ceremony location - Pricing is per guest, and you have access to the full selection of their wines, in addition to a few beers. 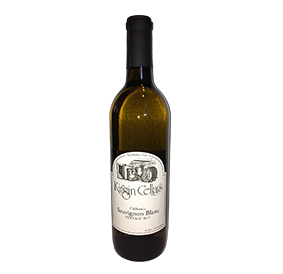 We liked not having to purchase a minimum number of cases as many other vineyards require. (And it was great to offer our guests so many options with their wine selection!) - Responsive & professional; they took extra steps to accommodate our guests when we had an unexpected heat wave leading up to and including the wedding day (parasols, plenty of water, keeping guests in a shady area & not seating them until just before the ceremony) - Kayce, our day-of coordinator, was easy to work with, and I was especially impressed at how good she was with our dog, who was our Ring Bearer. She was patient and understanding with him. *One of my friends did mention she was a little short with them while they were helping to set up. She was nothing but great when I interacted with her, but this is the only point for improvement I can think of. - They made sure to have some appetizers and drinks available for the wedding party in the 'break room' so that we could grab something quick between the ceremony and photos, which was nice because otherwise we wouldn't have had a chance to try them. - Overall, just a great experience. Strongly recommend checking this out if you're looking for a venue in the area!